The only thing better than a great turkey dinner is all the great things you can make with the leftovers! Here are some tips and ideas to help make the most of them. Cheers! If you have not yet, pick that turkey carcass clean as soon as possible. Save a little for today, but pack anything you will not be able to eat within 4 days of the holiday in Ziploc bags. Adding a spash of stock tastes great and will help your turkey last for months. Tony’s Cajun Pot Pie – in our freezer case. Use the carcass to make a stock. Simply break it into smaller pieces, add water to cover and simmer for 4-5 hours at very low heat – covered or partially covered. 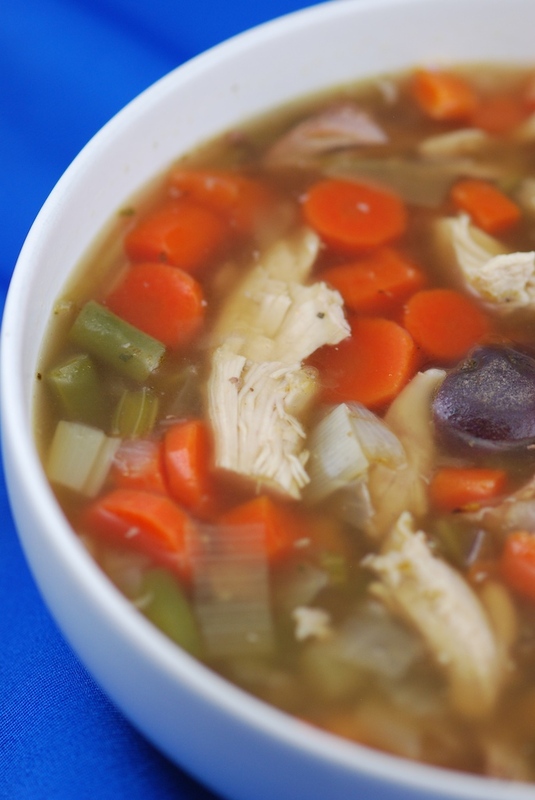 The taste is great, and even better if you add some vegetables like carrots, onions and celery. The stock can be used to make soup, stews or even more gravy. The ultimate use for leftovers! Combine your leftover gravy with leftover vegetables and meat (about 1:1:1) and use to fill Pot or Shepherd’s Pies (pot pie has a top and bottom crust, Shepherd’s Pie has no bottom crust and is topped with mashed potatoes.) If you don’t have enough gravy, pick up some at Tony’s. We make country gravy all year long and Turkey gravy over the holiday season. Here’s a simple yet delicious Turkey Pot Pie Recipe. Always reheat gravy leftovers to a full boil and stuffing that was in the bird to at least 165° for safety. A natural for leftover turkey – simple combine leftovers with stock and simmer – or try this tasty recipe. After removing most of the meat from the turkey carcass, break it up and place it in a large stockpot with remaining ingredients. Bring to a boil, skim, and reduce to a steady simmer to reduce until the stock is tasty, at least 3 hours. Strain, remove and discard solids, skim any fat from the top. Can be refrigerated at this point (once refrigerated, any remaining fat can easily be skimmed from the top). Simmer sliced carrots, sliced onions, sliced celery and cubed potatoes in stock until veggies are soft (or use leftover veggies and simply warm). Add cooked egg noodles or cooked rice and shredded leftover turkey and warm through. Season to taste with salt, pepper and herbs. Chef’s Note: Customize this soup with just about anything you like. Leftover gravy can be added to richen the broth, or leftover cream. Mashed potatoes can be added as a thickener. The soup can also be extended or enriched with flavorful turkey or chicken stock or stock concentrate (such as More Than Gourmet’s Glace de Volialle or Glace de Poulet or Tony’s Homemade Stock). Leftover turkey is great for quick stir-fry! Recipe follows, or checkout dozens of other leftover recipes at our website. 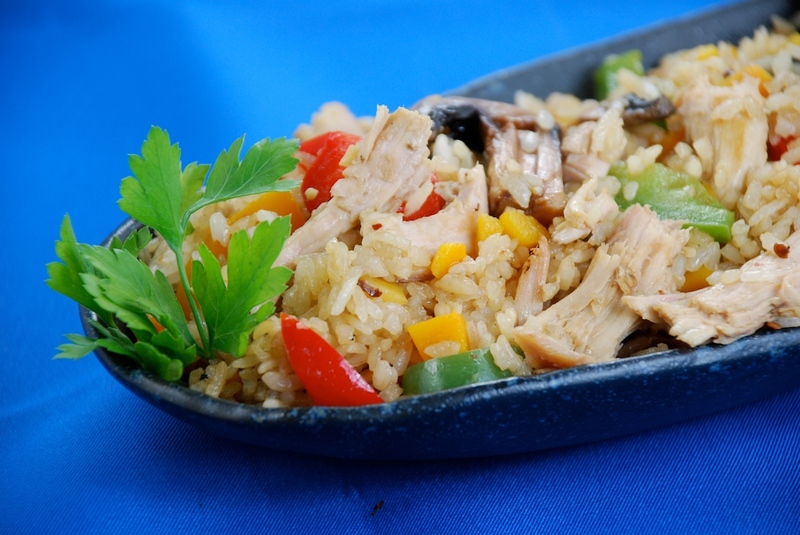 Turkey Fried Rice – recipe follows. your ingredients in front of you. gardening show on FOX. For more recipes, visit www.TonysMarket.com and/or join Tony’s Culinary Club.